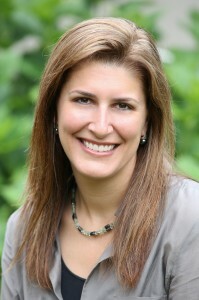 Stacey Wilson, PhD » Core Parenting - Parenting Resources in Portland, Oregon. We are excited to welcome Stacey Wilson to our team! She comes with a special focus in child assessment and treatment and is the perfect addition to the Core Parenting resources. Stacey L. Wilson, PhD is a licensed clinical psychologist in the Portland, Oregon area who conducts therapy and psychological testing with children, adolescents, and adults. She treats a broad range of issues including anxiety, depression, adjustment issues, low self esteem, relationship conflicts, stress management, divorce, grief/loss, infertility, sexual orientation and identity, eating disorders, and behavior problems. She frequently works with adolescent girls and young adults in therapy to treat depression and anxiety. Dr. Wilson’s approach to therapy involves a combination of helping clients to gain insight into past and present factors that contribute to their problem and to develop coping strategies that bring relief from suffering. She also utilizes psychological and educational testing to address concerns related to ADHD, learning disabilities, and personality. She does testing to determine eligibility for the TAG and ACCESS programs. Dr. Wilson received a M.A. in Psychology in Education from Columbia University. She received a M.A. and Ph.D. in Clinical Psychology from the University of Detroit Mercy. She completed her internship and residency at the University of Michigan working at both the Psychological Clinic for adults and the University Center for the Child and Family. Dr. Wilson has worked with children, adolescents, and adults in a wide variety of settings including outpatient clinics, schools, inpatient and residential treatment facilities, and medical hospitals.